Struggling to understand the cost of proper waterproofing? This project first came to my attention more than a year ago. The home owner wanted to make use of a flat roof addition, opening it up to and outdoor entertainment area. These designs are becoming very popular and adds value to the home. With the difficult economy in the past several years cost was a significant consideration. 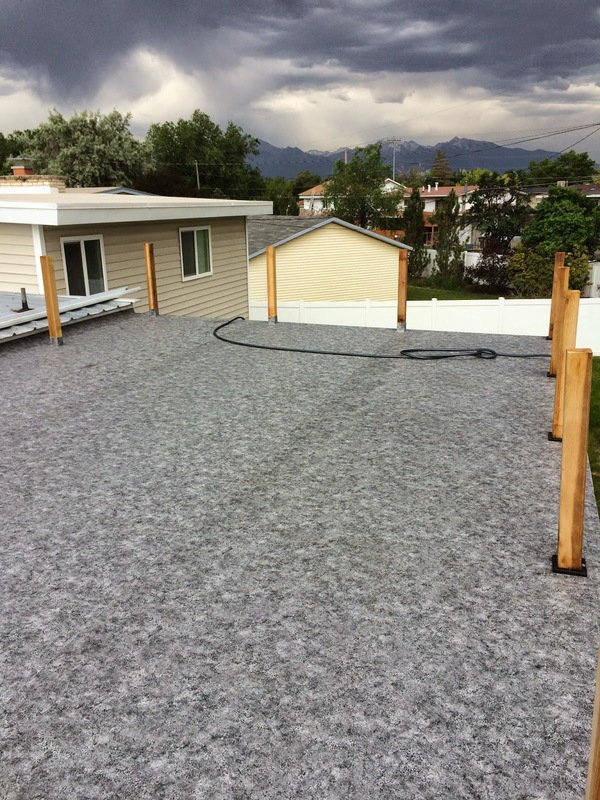 As we began the conversation it was clear the home owner was somewhat skeptical about the installed cost of The Duradek membrane. I recall being told there are numerous other products out there that do the same thing and are less expensive. While I understand what products he was suggesting they are not even in the same game as the Duradek membrane. Specifically they are not roofing products and therefore do not meet building code to be used as a roof alone. 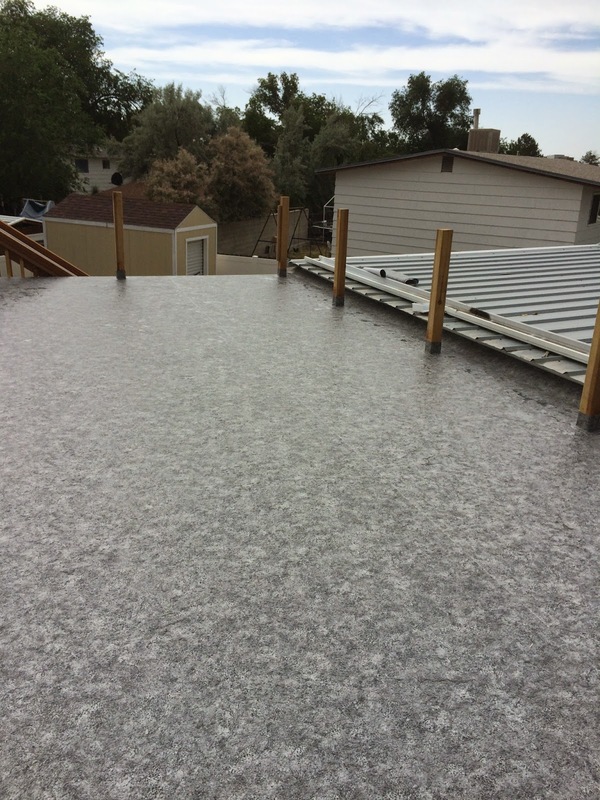 As a part of some other built up system with a roofing product beneath it they may be able to meet the code requirements but now the cost would exceed Duradek. 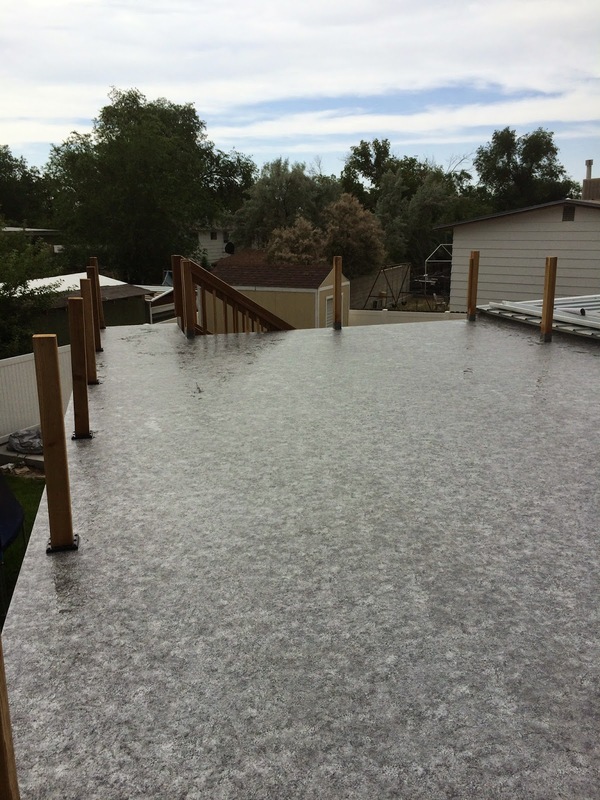 We talked several times as they were building the new roof deck and then winter came so the project was on hold. So, spring time comes around and we get a call, seems the owner has also come around. Take a minute and shop around, ask the hard questions and investigate a bit. Just a few months ago we had a contractor tell us that he only installs brand X because they give a 50 year warranty. Really? So I use the internet pull up the company and product and sure enough they give a 50 year warranty! Wow that’s fantastic, so I read the coverage and find that what is warranted for fifty years has nothing to do with waterproofing or much else. They would warranty that their product would still be there is fifty years and they excluded water intrusion, pedestrian traffic, scratches, and more. But, there is a contractor who is telling prospective clients he has a waterproof product that comes with a 50 year warranty. More concerning is there are people who will simply listen and use it because what they are told.